Thank you to our customers for helping us support our veterans and attending our Customer Appreciation Days/Open Houses this past Summer. 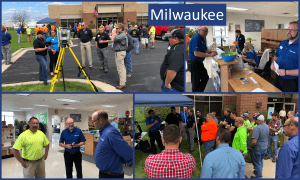 Seiler Instrument held our annual open house/customer appreciation days late this summer. 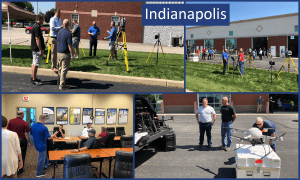 We host these events in five of our office locations across the Midwest; St. Louis, Kansas City, Omaha, Indianapolis and Milwaukee. This year we published that we would help support our veterans and contribute to a charity fund “The Mission Continues” by donating $3.00 per person for each attendee at our customer appreciation events. The final tally was 333 folks and we reached our goal for a donation of $1,000! 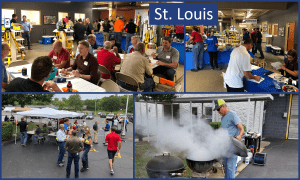 These events allow Seiler to give thanks to our customers while we share in some good food and fun. These customer appreciation days also allowed us to help serve each local veteran community that The Mission Continues supports. Thank you again to our customers and friends – we appreciate your help in reaching our goal!